Are you looking for an automated webinar platform for doing automated webinars? If so you may be researching the different options on the marketplace to determine which is the best for your business based on features, costs, and benefits. In this article we'll take a look at the EverWebinar platform and discuss the pros and cons of this automated webinar platform to see if it's a good fit for you and your business. Hot on the heels of their enormously successful (over 20,000 subscribers) WebinarJam Studio, marketing partners Mike Filsaime and Andy Jenkins are taking the automated webinar marketing concept to a whole new level. Thanks to EverWebinar, small and medium-sized businesses can ramp up their sales by taking existing webinars (one-time events) and replay them for the benefit of new attendees and potential customers. By importing events and using EverWebinar automation-friendly features, you can create the look and feel of the original webcast as often as you want without actually being present yourself. The largest and most innovative companies in the world like Apple, Comicon, Google, Tesla Motors, and South by Southwest (SxSW) fuel their sales growth by introducing products with spectacular media-driven shows. There's nothing like them, as anyone who has every attended an event an attest. Thanks to EverWebinar's automation and reuse features, the “work once, profit multiple times” concept has finally come to webinars in a big way. Basically, with a software solution like EverWebinar, you can create your webinar presentation (along with all of the marketing materials like landing pages, reminder emails, etc.) then run the entire process perpetually on autopilot. Rather than doing a webinar sales presentation only once per week and having to actually be there and do all the work associated with it; you can run the webinar multiple times per week (or even per day) and not have to physically be involved with it. Configuration and Scheduling - Select any number of recorded WebinarJam webinars for rebroadcast based on desirable dates, starting times, time zones etc. Superior analytics that track your performance metrics to a tee. Fully integrated registration notices and customizable landing pages with split test capability. Customizable e-mail reminders, follow-ups and SMS notices, fully automated via the Notifications menu option. Seamless third party integration with leading autoresponders, Google, and even competitors like InfusionSoft. Chat room customization - Add your own chat questions and answers. Also, an employee or consultant can be present to handle live questions through the chat, thus further enhancing the real-time experience. See also: GoToWebinar versus Skype - Which One is Right for You? Think about it. You can use EverWebinar to simulate live webinar experiences for your customers, and the best part is that it is completely automated. You don't even have to log in to push a button to start a webinar. As a software service, there's nothing for you to install, upload, or host. EverWebinar handles it all. 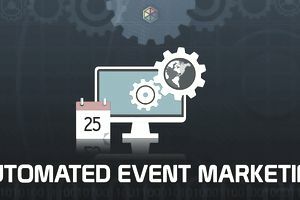 At under $1,000 USD, automated event marketing has never been so accessible to the new entrepreneur. In addition to the actual software as a service, those who invest in the EverWebinar platform are also entitled to in-depth training of webinar marketing best practices to increase attendance and conversions on webinar. From a cost perspective EverWebinar can make a lot of financial sense for anyone looking to start doing automated webinars and are on a limited budget. Is EverWebinar Right for Your Business? Beginners: If you're just starting an online business and have limited time (and money) then automated webinar marketing can be particularly beneficial to you. EverWebinar allows you to have more time in your business and is one of the more affordable webinar solutions on the market. Intermediate: If you already have a successful business and aren't leveraging the power of event based marketing (webinars) then you can certainly benefit from implementing an automated webinar strategy into your business. Advanced: If you are already implementing advanced sales and marketing tactics in your business and already doing webinars; then automating your webinar sales process is a no-brainer for you. EverWebinar is a quantum leap forward in virtual live event automation from both a technological and marketing perspective. Combined with WebinarJam Studio's plethora of benefits and features, this software gives you blue chip company advantages at a fraction of the cost. The power of automated webinar marketing technology combined with traditional prospect recruitment and webinar sales conversion strategies. It's a win-win scenario that is sure to take your business to the next level. You can learn more about EverWebinar here.